A romantic wedding is the dream of every girl. She fantasizes about the groom (a real prince, if possible) , the wedding gown (gorgeous, white and with an interminable train) and a great location (a castle is the perfect choice, of course). Things change a little as an adult. Princes are relegate to fairy tales and a Dolce and Gabbana wedding dress becomes more attractive than a cumbersome princess dress. But the perfect location is always an important detail and Italy has a lot to offer in this term: romance, history, landscape, climate, food and great wines just to mention few of the reason for an Italy wedding. Venice, the floating jewel and the perfect incarnation of romance. A serenade gondola ride at sunset is a unique experience. Rome and its romantic feel that is beyond description. An open-air-museum filled with masterpieces. Restaurants with terraces boasting unbeatable views of Coliseum or St. Peter's. Italian lakes with the Alps as a backdrop and shorelines dotted with charming villages, elegant villas set in luxuriant gardens. The preferred destination for couples wishing elegance, relax and magic views. Tuscany a land of immense charm. Rolling hills with tiny medieval towns surrounded by vineyard, fields of sunflowers swaying in a gentle breeze. Fairytale castles with secret gardens, frescoed rooms and the magic atmosphere of a dream made true. Amalfi Coast: nowhere the colors shine with such different, clear tones: the sea with the most incredible shades of blue and green, the purple bougainvillea, the lemon groves. Sicily and Sardinia. the two major islands: history and silky Caribbean beaches. 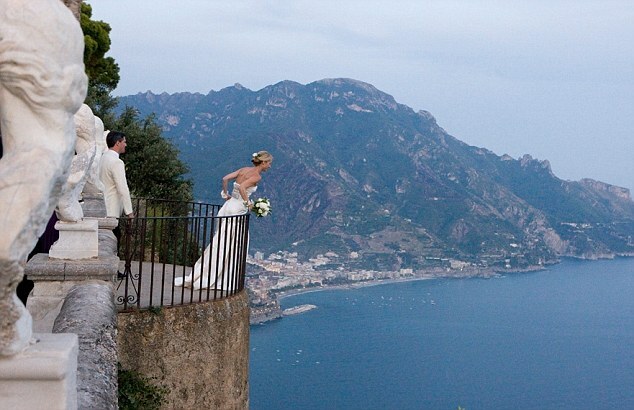 With such a variety of places and locations, Italy is definitely able to make your dreams come true and the perfect place to say "Yes, I do".